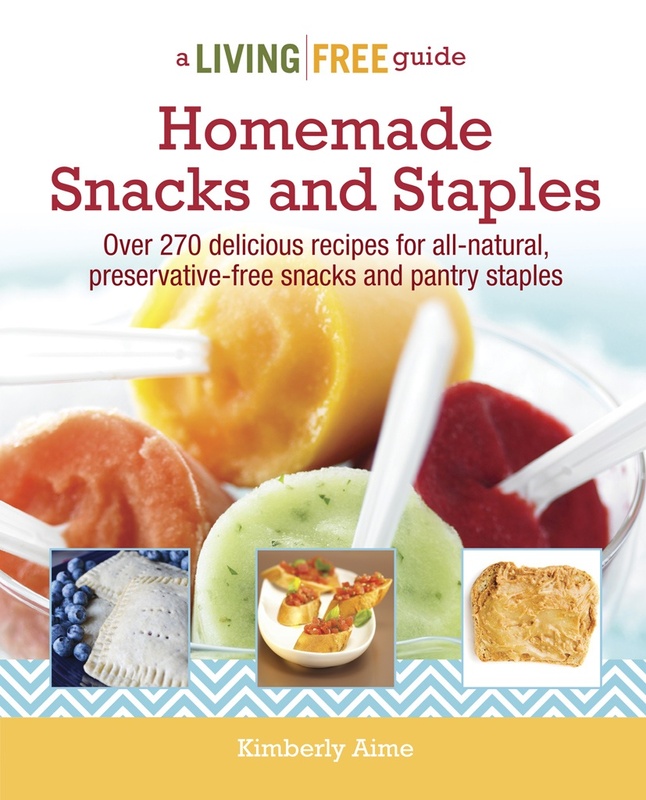 Happy Healthy Blogger Thursday Friday! Each week I feature a blogger in my Healthy Blogger series, to see past bloggers, check out the Badger Girl Healthy Buddies page. 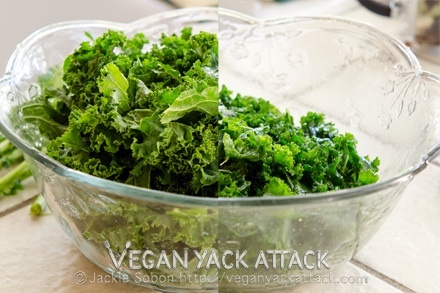 This week I am very excited to introduce you to Jackie from Vegan Yack Attack. Jackie is a vegan who has a great eye for visual design and a sophisticated beer palate. 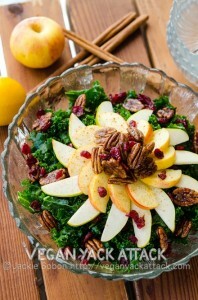 This week she has an awesome recipe for a fall salad and a great tip for getting most of your kale. I think you will really like it! 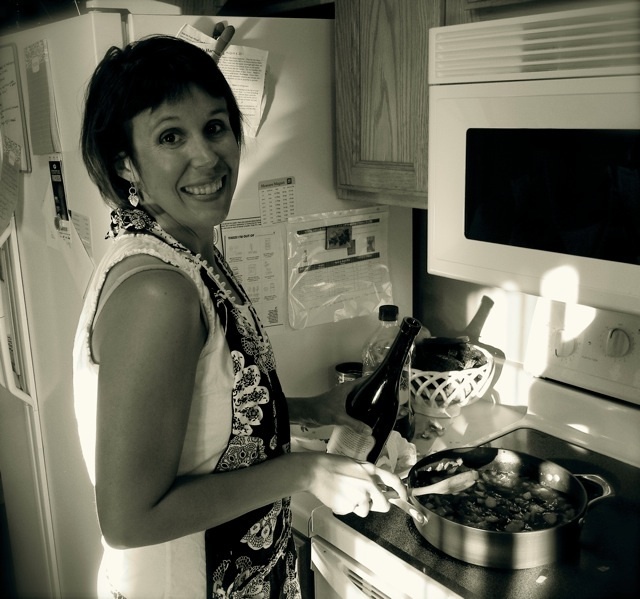 Let me start off by saying that I am excited to be a part of Healthy Blogger Thursday here on Badger Girl Learns to Cook! As Kimberly said, I run the blog Vegan Yack Attack where there is a pretty wide variety of vegan recipes. From the more indulgent desserts to completely raw dishes, there is a lot to choose from; and I try to use as many whole ingredients as possible. What I have today is a massaged kale salad, yes, massaged! 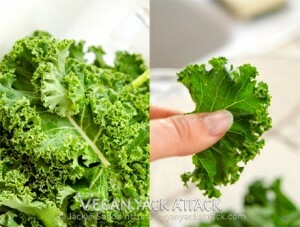 As you’ll see, massaging the kale makes it less tough and breaks it down without losing its nutritional value. Dotted with ruby-red craisins, sweet cinnamon-y pecans, and fresh fall fruits, this salad is tossed in a light, citrus vinaigrette. 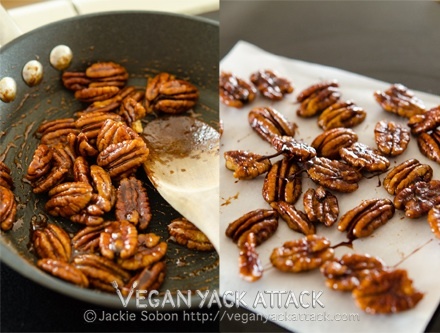 Place all ingredients for the pecans into a small pan over medium heat and stir together. Once the liquid starts to simmer, continue to move the pecans around to coat them in the maple mixture. After roughly 5-7 minutes the water will evaporate and the pecans will be sticky. In one layer, place the pecans onto a sheet of wax paper and into the refrigerator. 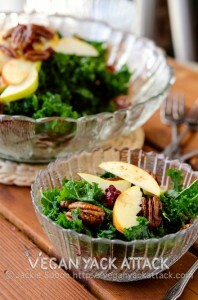 In a small bowl, or cup with pour spout, whisk together the ingredients for the dressing until completely combined. Taste and adjust spices according to your preference. After the head of kale has been rinsed off thoroughly, start tearing small pieces of the leaf off of the rib (as pictured) and put them into a large bowl. Next, pour the vinaigrette over the kale and start “massaging” the leaves. Essentially grabbing and kneading them, until they become slightly softened and smaller. What is your favorite fall salad? 110 Comments on "Healthy Blogger Friday: Vegan Yack Attack"
GnNt87 wow, awesome blog post.Really looking forward to read more. Cool. a big component to people will omit your excellent writing because of this problem. be really something that I feel I would by no means understand. I’ll immediately take hold of your rss as I can’t find your email subscription hyperlink or e-newsletter service. post to be updated on a regular basis. It includes pleasant stuff. wondering your situation; many of us have developed some nice procedures and we are looking to exchange solutions with others, be sure to shoot me an e-mail if interested. I don’t even know the way I stopped up right here, but I thought this publish was great.